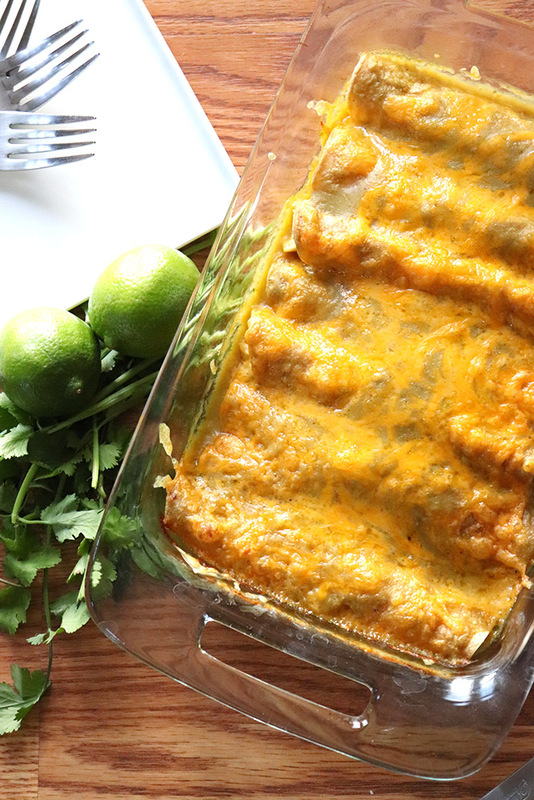 A New Mexican style recipe for Green Chile Chicken Enchiladas, made completely from scratch! Next to tacos and burritos, I would say enchiladas are one of the most commonly ordered Mexican dishes. In New Mexico, we also really love our enchiladas. I can tell you right now, the correct answer is Green, Corn, and Chicken! Just kidding – any combination of those is going to be a really great choice. 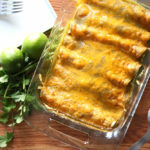 But, there is a special place in my heart for green chile chicken enchiladas! 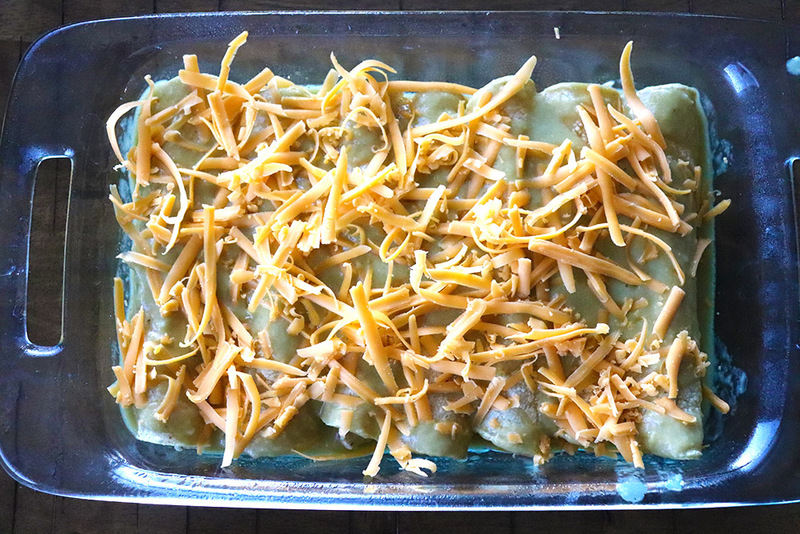 There are tons of recipes on how to make green chile chicken enchiladas on the internet. 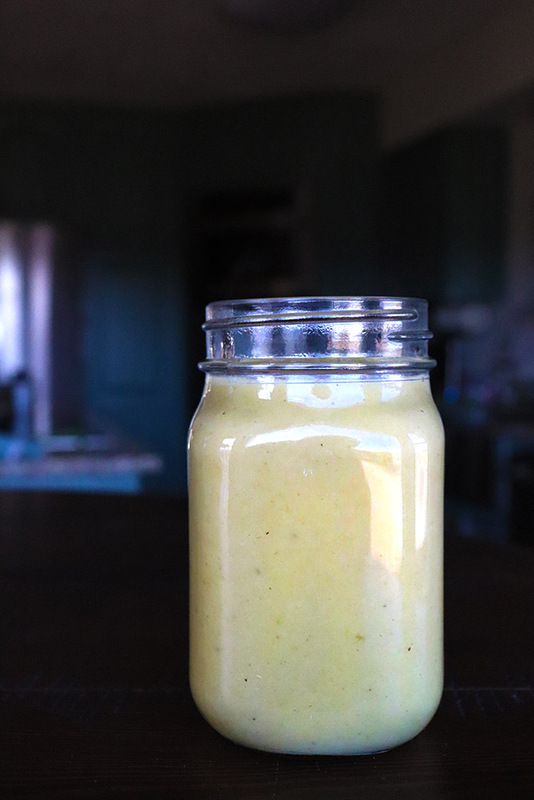 I have tried dozens of them, but find that I really appreciate the flavor that comes from making the green chile enchilada sauce from scratch. This recipe will show you how to make enchiladas from scratch, and I promise the effort will be so worth it! The first step in making green chile chicken enchiladas is to make the fresh green chile sauce. Start by sauteing half a chopped onion and some minced garlic in olive oil. Once softened, sprinkle in flour to thicken the mix and make a roux. Add in diced Hatch green chile, and chicken broth. Season with salt and cumin. If you prefer a chunkier sauce, it is good just like this! 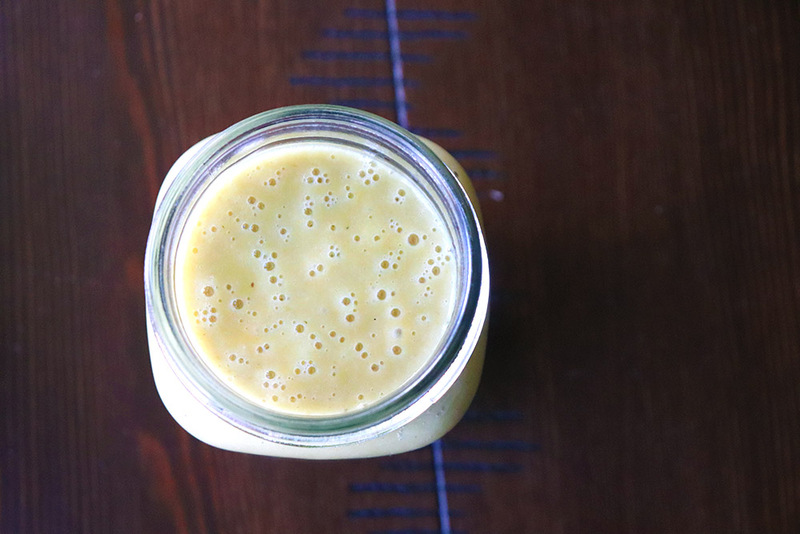 If you prefer a smoother sauce, like me, you can blend the sauce in a blender until smooth. While you’re making the sauce, place a pound of chicken breast into a pot of boiling water and boil until cooked through. Remove the chicken from the water and use two forks to shred it into bite sized pieces. Season with salt, pepper, cumin, and oregano. Now it’s time to roll the enchiladas! You’ll want to heat the corn tortillas in the microwave for about 30 seconds, to make them pliable. If you try to work with cold tortillas, they will split. 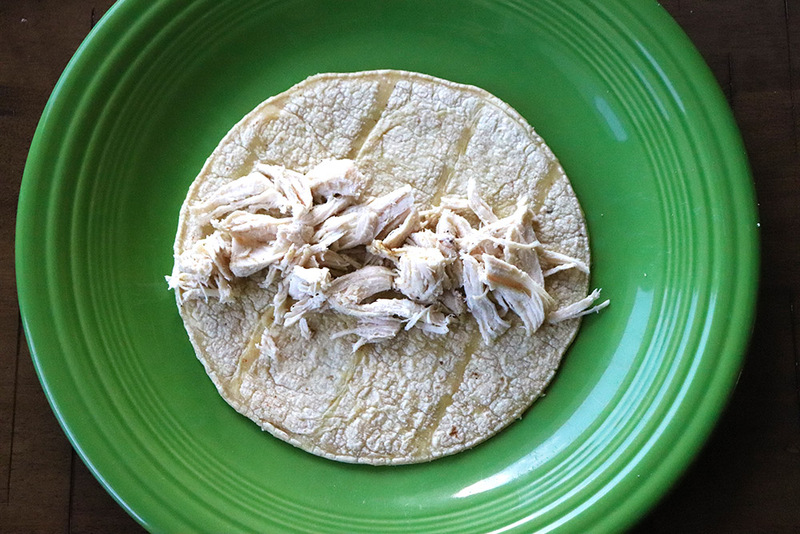 Place a couple tablespoons of chicken on the center of the tortilla. Next, top the chicken with about a tablespoon of shredded cheddar cheese. Then roll up the tortilla and place seam side down into a baking sheet. Repeat with remaining tortillas. The next part is the best part — smother the tortillas with that delicious sauce you made earlier. Add as much chile sauce as your heart desires. And finally, top the smothered enchiladas with a fair amount of cheese. These beauties go into an oven at 350 degrees for about 20 minutes, until the cheese is melted and bubbly. Beautiful, right? And they’re sooo tasty. 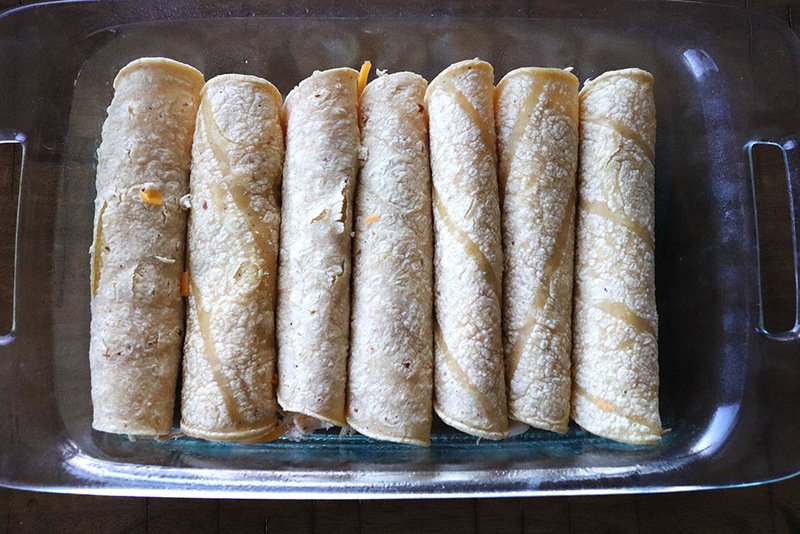 Of the more than 50 times I’ve made enchiladas in my life, these are my absolute favorite. 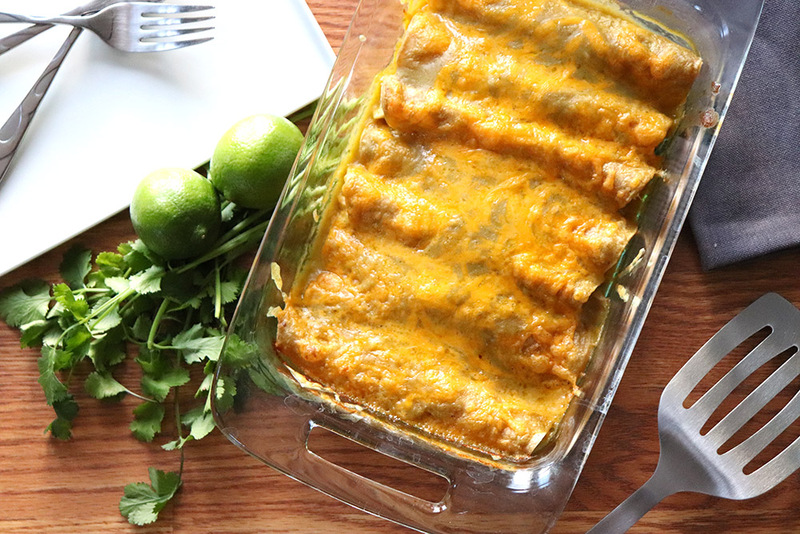 I hope you enjoy this green chile enchilada recipe! New Mexican style green chile chicken enchiladas with a handmade green chile sauce, corn tortillas, tender seasoned chicken, and lots of melted cheese. Preheat the oven to 350 degrees. Lightly grease a 9 x 13 baking dish. Add olive oil to a pot over medium heat. Add in onions and saute 4 minutes. Add in garlic and saute an additional 1 minute. Sprinkle in flour and stir well. Bring a medium pot of water to a boil. Add in chicken breasts and boil until cooked through, about 20 – 25 minutes. 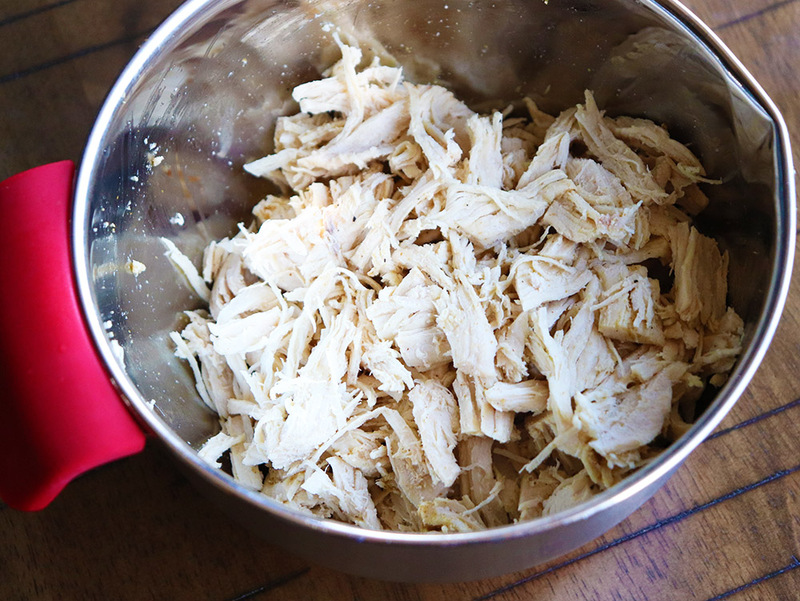 Remove chicken from the pot, shred with two forks, and transfer to a bowl. Season with salt and pepper to taste, 1/2 tsp oregano, and 1 tsp ground cumin. Stir well. Warm tortillas up in the microwave for 30 – 60 seconds, until pliable. 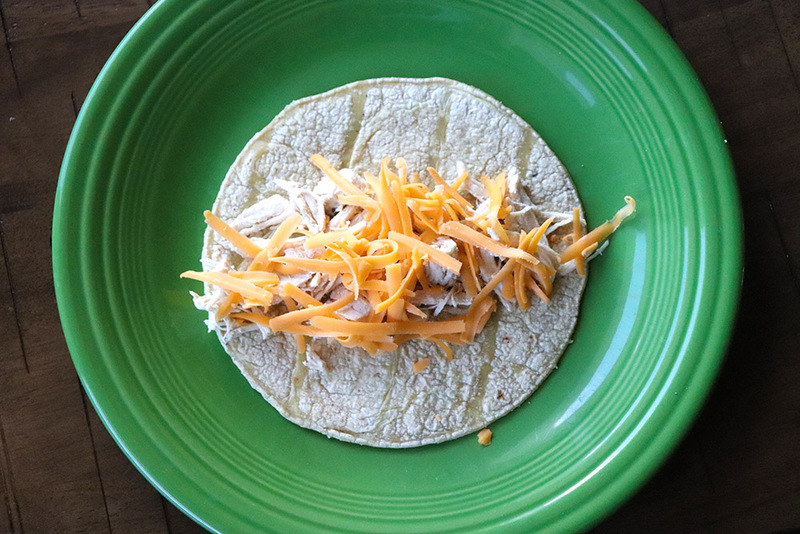 Add 2 – 3 tbsp of cooked chicken to the center of each tortilla, then top with 1 tbsp of cheese. Roll up and place seam side down in the baking sheet. Repeat with remaining tortillas. 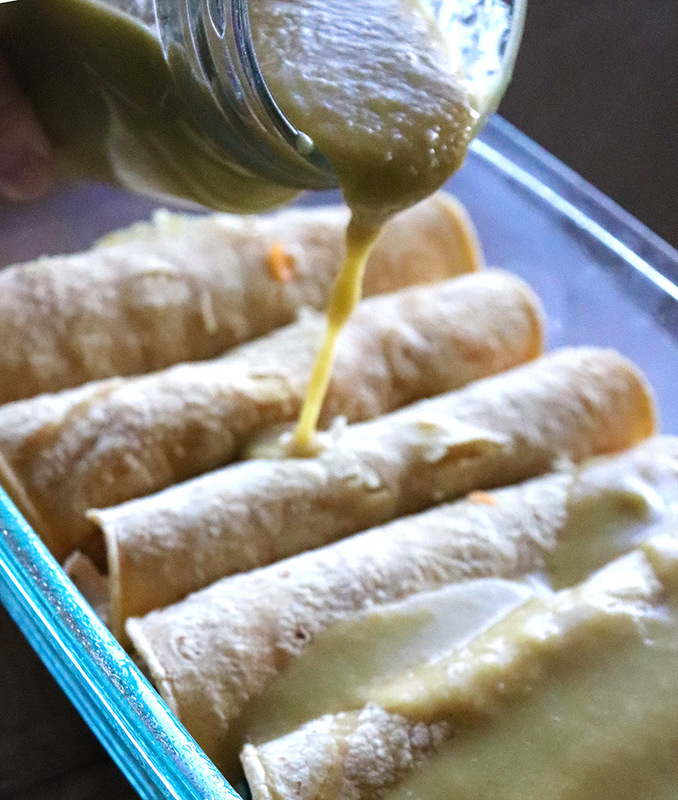 Pour green chile sauce over the rolled enchiladas (I use about a cup, but you can adjust to your preferences). Top with remaining shredded cheese. Bake in preheated oven for 20 degrees, until cheese is melted and bubbly. 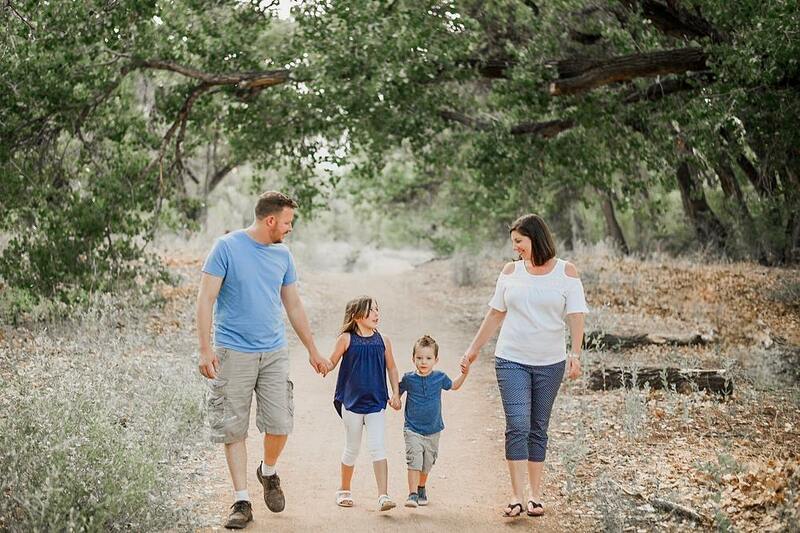 Click on the image below to save this to your favorite green chile board! Love Green Chile? Here are some more recipes to try!